Since May 12, 2018, Zohrab Mnatsakanyan serves as the Minister of Foreign Affairs of Armenia. In 1990, he graduated from the Department of International Economic Relations of the Moscow State Institute of International Relations. In 1991, he received a Master of Arts degree in Western European Politics from the Department of Politics, Economic and Social Studies of the Victoria University of Manchester. He has been working in various positions in the Ministry of Foreign Affairs of Armenia since 1991, including as the Head of European Department (1998-1999) and the Deputy Minister of Foreign Affairs (2011-2014). In 1993-1997 he served as second, then first secretary at the Embassies of the Republic of Armenia in the United Kingdom and Holy See. 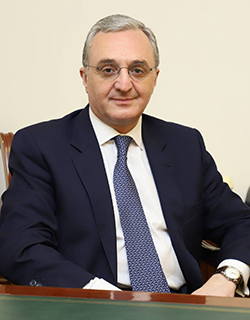 In 2002-2008 Zohrab Mnatsakanyan was the Ambassador, Permanent Representative of Armenia to the United Nations Office and other International Organizations at Geneva and Ambassador Extraordinary and Plenipotentiary of the Republic of Armenia to the Swiss Confederation. 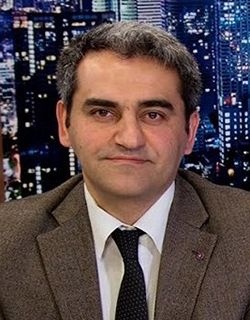 In 2008-2011 he was the Permanent Representative of Armenia to the Council of Europe, and in 2014-2018 he served as the Permanent Representative of Armenia to the United Nations Headquarters in New York. Zohrab Mnatsakanyan worked as assistant to the Prime Minister of Armenia in 1997, and in 1999-2000 was the Head of Foreign Relations Department in the Administration of the President of Armenia. 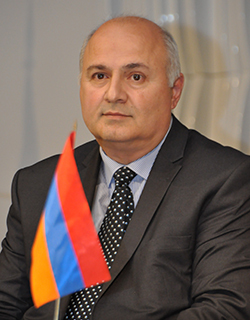 Zohrab Mnatsakanyan has the diplomatic rank of an Ambassador Extraordinary and Plenipotentiary. In 2011 he was awarded with the Medal of Mkhitar Gosh of the Republic of Armenia. 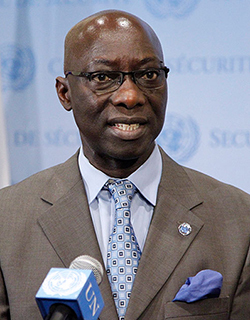 Adama Dieng, a Senegalese jurist, was appointed as Under-Secretary-General and Special Adviser of the Secretary-General on the Prevention of Genocide on 1 September 2012. Prior to his appointment, he had served since 2001 as Assistant Secretary-General and Registrar of the International Criminal Tribunal for Rwanda. Before joining the United Nations, Mr. Dieng was the Secretary General of the Geneva-based International Commission of Jurists for ten years (1990-2000). During his tenure, Mr. Dieng was appointed as the United Nations Independent Expert for Haiti (1995-2000) and was also appointed as the Envoy of the United Nations Secretary General to Malawi, in 1993. He was the driving force behind the establishment of the African Court on Human and Peoples’ Rights as well as the draft African Convention on Preventing and Combating Corruption. Mr. Dieng is a former Board member of various institutions, including the International Institute for Democracy and Electoral Assistance, the International Institute of Humanitarian Law, the International Human Rights Institute (Institut Rene Cassin) and the Africa Leadership Forum. Mr. Dieng is a member of the Editorial Board of the International Review of the Red Cross. In recognition of his contribution to strengthening the rule of law and the fight against impunity, he was appointed an Honorary Chairman of the Washington-based World Justice Project. 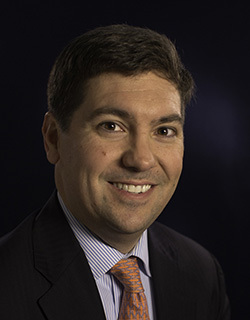 Henry Theriault is the President of the International Association of Genocide Scholars (IAGS) and Associate Vice President for Academic Affairs at Worcester State University, after 19 years in its Philosophy Department. 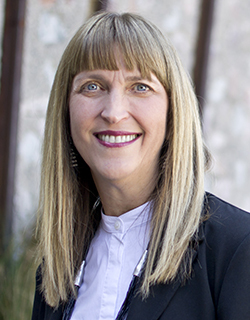 Theriault's research focuses on reparations, victim-perpetrator relations, denial, atrocity prevention, and mass violence against women and girls. He has lectured around the world and published numerous journal articles and book chapters, edited two books, and coauthored with Samuel Totten The UN Genocide Convention: A Primer (forthcoming, University of Toronto Press). 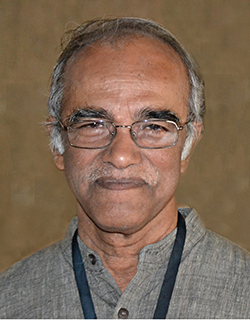 He is founding co-editor of the Genocide Studies International journal, and from 2007 to 2012 he was co-editor of the journal Genocide Studies and Prevention. Since 2007 he has chaired the Armenian Genocide Reparations Study Group and is co-author of its 2015 report, Resolution with Justice. For more details, see his autobiographical reflection in Totten's Advancing Genocide Studies: Personal Accounts and Insights from Scholars in the Field (2015). Dr Fernand de Varennes is Extraordinary Professor at the Faculty of Law of the University of Pretoria (South Africa), Visiting Professor at the National University of Ireland-Galway, Cheng Yu Tung Visiting Professor at the Faculty of Law of the University of Hong Kong (China) and holds the mandate of United Nations Special Rapporteur on Minority Issues. He is renown as one of the world’s leading experts on the international human rights of minorities, has focused particularly on issues surrounding languages, and has worked and written in areas of international law such as the prevention of ethnic conflicts, the rights of migrants, the relationship between ethnicity, human rights and democracies, as well as the use of federalism and other forms of autonomy. Dr de Varennes’ research and publications record spans more than 200 publications in some 30 languages. In recognition of his work and achievements, he has received accolades including the 2004 Linguapax Award (Barcelona, Spain), the Knight’s Cross of the Order of Merit of the Republic of Poland, the Tip O’Neill Peace Fellowship (Northern Ireland, UK), and was nominated for the Gwangju Prize for Human Rights (Gwangju, South Korea). Mô Bleeker chairs the Global Alliance Against Mass Atrocity Crimes- prevention platform since its creation in 2013. She acts as the Special Envoy for Dealing with the Past and Prevention of Atrocities of Swiss Federal Department of Foreign Affairs (FDFA where she has been working in different positions since 2003. Mrs. Bleeker has accompanied complex political processes of transition in numerous and different contexts and continents (Central America, Colombia, the Balkans, South-, Southeast-and Central Asia as well as in several different regions of Africa). Currently, she also serves in Colombia as Special Envoy for the Peace Process between ELN and the Colombian Government and the implementation of the Peace Agreement between the FARC and the Government. She also acted as Chair of the Transitional justice and Reconciliation Commission- TJRC of the Peace Agreement on the Bangsamoro (Philippines since 2014). Mô Bleeker holds degrees in anthropology, religion sciences, journalism and social communication and holds a post-graduate diploma in development studies at the Graduate Institute of International and Development Studies in Geneva. Dr Kyriakos Kyriakou-Hadjiyianni was elected Rapporteur of the General Committee on Democracy, Human Rights and Humanitarian Questions at the 2016 Annual Session in Tbilisi and re-elected at the 2017 Annual Session in Minsk and at the 2018 Annual Session in Berlin. As a Rapporteur he has authored the Report and Resolution of the Committee on Democracy, Human Rights and Humanitarian Questions for the years 2017/2018, while previously he authored a Resolution on “Missing Persons in connection with Armed Conflicts” (2015). He has been a Member of the House of Representatives of Cyprus since 2006, where he serves as the Chairman of the House Standing Committee on Educational Affairs and Culture. He is also a Member of the Committee on Refugees-Enclaved-Missing-Adversely Affected Persons. He has studied Mechanical Engineering, Economics and Political Science at the University of Stuttgart and holds a PhD in Political Science from the University of Tübingen, his thesis being on “European integration as a catalyst for the solution of the Cyprus Problem”. Dunja Mijatović was elected Commissioner for Human Rights on 25 January 2018 by the Parliamentary Assembly and took up her position on 1 April 2018. She is the fourth Commissioner, succeeding Nils Muižnieks (2012-2018), Thomas Hammarberg (2006-2012) and Alvaro Gil-Robles (1999-2006). National of Bosnia and Herzegovina, she has been working to promote and protect human rights for the past two decades, thus acquiring extensive knowledge in the field of international monitoring, in particular as regards freedom of expression. Prior to her appointment as Commissioner for Human Rights, she has served as OSCE Representative on Freedom of the Media (2010-2017), Director of Broadcast of the Communications Regulatory Agency of Bosnia and Herzegovina (2001-2010), Chair of the European Platform of Regulatory Agencies (2007–2010) and of the Council of Europe's Group of Specialists on Freedom of Expression and Information in Times of Crisis (2005-2007). 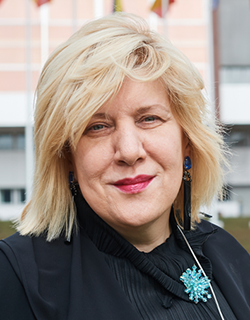 Dunja Mijatović has regularly given lectures in national and international fora and has been awarded several human rights prizes. She has also been active in supporting NGO activities in the field of human rights education and asylum. Sarah Leah Whitson, executive director of Human Rights Watch's Middle East and North Africa Division, oversees the work of the division in 19 countries, with staff located in 10 countries. She has led dozens of advocacy and investigative missions throughout the region, focusing on issues of armed conflict, accountability, legal reform, migrant workers, and political rights. 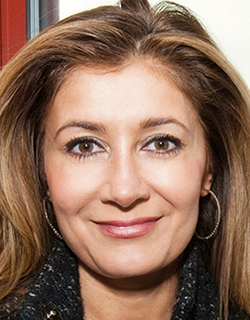 She has published widely on human rights issues in the Middle East in international and regional media, including The New York Times, Foreign Policy, The Los Angeles Times. She appears regularly on Al-Jazeera, BBC, NPR, and CNN. Before joining Human Rights Watch, Whitson worked in New York for Goldman, Sachs & Co. and Cleary, Gottlieb, Steen & Hamilton. She graduated from the University of California, Berkeley and Harvard Law School. Whitson is a member of the Council on Foreign Relations. She speaks Armenian and Arabic. Professor William A. Schabas is professor of international law at Middlesex University in London. He is also professor of international human law and human rights at Leiden University, emeritus professor of human rights law at the National University of Ireland Galway and honorary chairman of the Irish Centre for Human Rights. 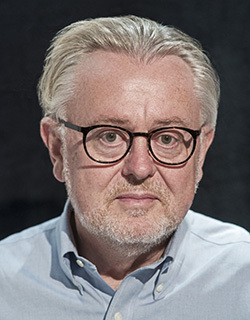 Professor Schabas holds BA and MA degrees in history from the University of Toronto and LLB, LLM and LLD degrees from the University of Montreal, as well as several honorary doctorates. He is the author of more than twenty books dealing in whole or in part with international human rights law and international criminal law, including the European Convention on Human Rights (Oxford 2015), The Universal Declaration of Human Rights: The travaux préparatoires (Cambridge 2013), Unimaginable Atrocities (Oxford, 2012), The International Criminal Court: A Commentary on the Rome Statute (Oxford, 2010), Introduction to the International Criminal Court (Cambridge, 2011), Genocide in International Law (Cambridge, 2009) and The Abolition of the Death Penalty in International Law (Cambridge, 2003). Professor Schabas drafted the 2015 report of the Secretary-General on the status of the death penalty. As a practicing international lawyer he has appeared before such tribunals as the International Court of Justice and the Grand Chamber of the European Court of Human Rights. Professor Schabas was a member of the Sierra Leone Truth and Reconciliation Commission. He served as Chairman of the United Nations Voluntary Fund for Technical Cooperation in Human Rights. In 2014 he was appointed Chairman of the United Nations Commission of Inquiry into the Gaza Conflict. Professor Schabas was named an Officer of the Order of Canada in 2006. He was elected a member of the Royal Irish Academy in 2007. 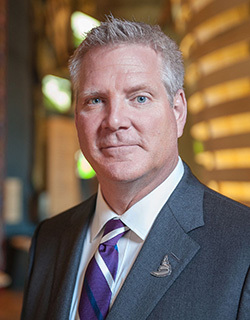 John Young has served as President and CEO of the Canadian Museum for Human Rights (CMHR) since August 2015. This new national museum, that opened its doors in 2014, has built an international reputation for design, architecture, accessibility and human rights discourse. With his guidance, the CMHR has become a global leader in human rights education. He is committed to creating a space for sharing difficult knowledge to help expand the collective memory of Canadians and visitors from around the world. Prior to accepting his position with the CMHR, Dr. Young was an Associate Professor of Political Science at the University of Northern British Columbia (UNBC), where he excelled as both an educator and administrator. During his time at UNBC, Dr. Young served as Dean of the College of Arts, Social and Health Sciences, Interim Provost and Vice President Academic. Recognized by UNBC for his teaching excellence, he has been a visiting professor in the United States and Japan and has lived and worked in Germany and Russia. He has also worked with the Canadian Parliamentary Centre, was a member of the Board of Directors of the Canadian Broadcasting Corporation and served on the CMHR Board of Trustees from 2012 to 2015. Irene Victoria Massimino is a human rights lawyer from Argentina serving as a Rapporteur of the High Criminal Court of Buenos Aires State (Criminal Tribunal of Cassation); she holds a Master of Laws from Robert H. McKinney School of Law at Indiana University, USA, and a Master of Arts in Understanding and Securing Human Rights from the School of Advanced Study of the University of London, UK. Presently, she is pursuing the mandatory courses to fulfil PhD requirements at University of Buenos Aires School of Law. She is currently the Head Professor of Human Rights in Latin American in the Department of International Education at Universidad Nacional de Tres de Febrero, Argentina, and also teaches Genocide Prevention and Law at Stockton University in the USA. Irene has also taught Criminology, Penology and International Human Rights Law in other public universities in Argentina. She has worked and taught in the fields of conflict, human rights violations, justice processes and international crimes in Colombia, Argentina, Chile, Guatemala, Iraq and Bangladesh mainly focusing on external intervention and genocide. She has published articles regarding the aforementioned topics and has given lectures around different universities and institutions in Argentina and abroad. 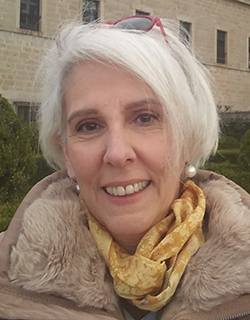 Irene Victoria Massimino has participated and founded projects regarding genocide prevention and accountability for international crimes.She is a member of the Asociación Americana de Juristas (AAJ-American Association of Jurists); a member of the Global Alliance for Justice Education; a member of the Argentine NGO Asociación Pensamiento Penal, and a member, former Co-Secretary-Treasurer (2015-2017) and current member of the Resolutions Committee of the International Association of Genocide Scholars (IAGS). 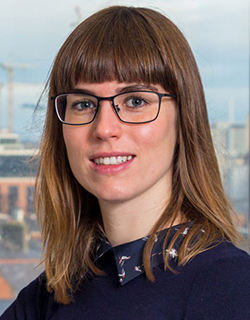 Dr Melanie O’Brien is Senior Lecturer in International Law at the University of Western Australia, teaching International Humanitarian Law, Public International Law, and Research units. 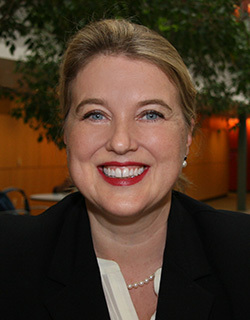 Her research examines the connection between human rights and the genocide process; and sexual exploitation by peacekeepers. Melanie is 2nd Vice-President of the International Association of Genocide Scholars (IAGS) and has co-convened the 2017 IAGS conference at the University of Queensland. She is on Editorial Boards of The International Journal of Human Rights and Human Rights Review, and special advisor to the WA International Humanitarian Law Committee of the Australian Red Cross. Melanie is an admitted legal practitioner who has previously worked at several Australian universities; the National Human Rights Institution of Samoa; and the Legal Advisory Section of the Office of the Prosecutor at the International Criminal Court. She is the author of Criminalising Peacekeepers: Modernising National Approaches to Sexual Exploitation and Abuse (2018, Palgrave). She tweets @DrMelOB. Professor Andrea Bartoli is the Dean of the School of Diplomacy and International Relations at Seton Hall University. He works primarily on peacemaking and genocide prevention. Dr. Bartoli has been involved in conflict resolution activities as a member of the Community of Sant’Egidio of which he was the Representative to the UN and the USG. 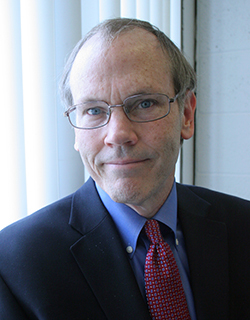 Previously he was the Dean of the School of Conflict Analysis and Resolution at George Mason University. 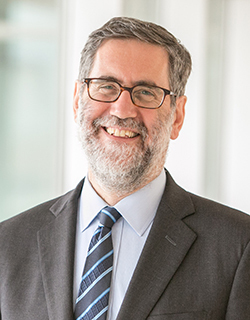 He has been the Founding Director of the Center for International Conflict Resolution at Columbia University and of the Engaging Governments on Genocide Prevention program. He is a member of the Steering Group of the Global Action Against Mass Atrocity Crimes (GAAMAC). 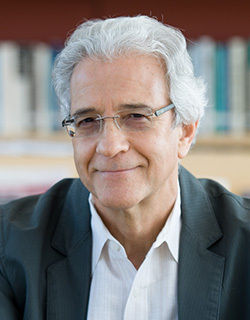 Among his publications Negotiating Peace: The Role of Non-Governmental Organizations (2013); he co-edited Peacemaking: From Practice to Theory (2011) and is one of the authors of Attracted to Conflict (2013). He lives in New York City. Ophelia Leon is an Art Historian, graduate of Kean University in the U.S. She has curated art exhibits in Museums and Galleries in New York, Los Angeles and throughout Europe, in Dublin, Berlin, London, Paris, Brussels... She is the director and founding member of A.R.T.E., an organization promoting Respect and Tolerance through Art and Education. She is currently President, and previously Treasurer of ICMEMO, the International Committee in Remembrance of the Victims of Public Crimes, part of ICOM, the International Council of Museums and a member of its Working Group on the future of International Committees. Piotr M. A. Cywiński was born on 16 April 1972 in Warsaw. A historian of the Middle Ages, Director of the Auschwitz-Birkenau State Museum since 2006. Co-creator of the Auschwitz-Birkenau Foundation and the president of the foundation since its establishment in 2009. Member of the International Auschwitz Council, and its secretary between 2000 and 2006. Vice-president of the Warsaw Catholic Intelligentsia Club between 1996 and 2000, and later its president until 2010. Member of many bodies dedicated to remembrance:, member of the Board of the Foundation for the Maximilian-Kolbe-Werk in Germany; board Member of the Maison d'Izieu Memorial in France; member of 'Memorial' in Moscow. 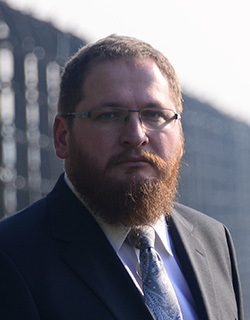 Since 2017 Chairman of the Program Board of the Jewish Historical Institute in Warsaw. Author of many historical books and articles devoted to the Middle Ages and issues referring to the Holocaust and Memorial Sites. Mofidul Hoque did his MA in Sociology from Dhaka University. He is an author and social activist of repute. He has written more than a dozen books on socio-cultural study and history. He has been awarded with the Bangla Academy Literary Prize and the national award "Ekushey Padak". He is the Founder-Trustee of the Liberation War Museum, a people's organization established in 1996. He directs the Oral History Project of the museum that has accumulated more than 50,000 eye-witness accounts of history. He is involved in promoting justice for genocide and the concept of peace and tolerance in society. As Director of Center for the Study of Genocide and Justice he is promoting the cause both nationally and globally. He is the key organizer of 5th various International Conferences on Bangladesh Genocide and Justice, held in Dhaka from May 19-21, 2017. He recently directed a study to collect testimonies of Rohingya victims of genocide and analyzed those from international crimes perspective. Harutyun Marutyan is the Director of Armenian Genocide Museum-Institute, Head Researcher at the Department of Contemporary Anthropological Studies of Institute of Archaeology and Ethnography, National Academy of Sciences of Armenia, and former (1991-2013) Visiting Professor of Anthropology at Yerevan State University. He has graduated from the Yerevan State University (History Department, M.A., 1978) and the Institute of Ethnography, Academy of Sciences of the USSR, in Moscow (Ph.D., 1984). He received his second PhD in 2007 at the Institute of Archaeology and Ethnography in Yerevan. His research interests include Armenian Genocide memory, national identity transformation, modern national movements, iconography, traditional Armenian culture, and poverty. Harutyun Marutyan is the author of three monographs (among them: Iconography of Armenian identity. Volume 1: The Memory of Genocide and the Karabagh Movement (Yerevan, 2009, in Armenian and in English); The Role of Memory in the Structure of Identity: Questions of Theory (Yerevan, 2006, in Armenian); as well as contributor to five collective monographs, and authored more than a hundred scholarly articles. He is an IREX/RSEP (Michigan University, 1998), Fulbright (MIT, 2003-2004), DAAD (Berlin, 2013) alumnus. In 2009-2010 he was Diane and Howard Wohl Fellow at Center for Advanced Holocaust Studies, US Holocaust Memorial Museum (Washington, DC). Dr. iur. Hans-Christian Jasch is a lawyer and legal historian by training. He holds a PhD in legal history from the Humboldt University in Berlin. He was appointed as director of the Memorial and Educational Site House of the Wannsee Conference in May 2014 following the publication of his critically acclaimed book in 2012 on the Nazi-state-secretary Wilhelm Stuckart, who represented the Ministry of interior at the Wannsee Conference. Before starting his assignment as director of the Wannsee Memorial and parallel to his academic research on law and public administration in Nazi-Germany, Mr. Jasch worked as a lawyer in the public administration for the German Federal Ministry of Interior in the field of countering right-wing extremist hate crime and terrorism (2012-2014) and as a seconded national expert on preventing violent radicalisation for the counter-terrorism unit of the European Commission in DG Home Affairs from 2007 to 2011. In 2016/17 he co- authored books on the Participants of the Wannsee-Conference, the Nuremberg Laws, Public administration and the Holocaust and recently a book on how the German Justice system dealt with Holocaust crimes after 1945. Cameron Hudson is the Senior Strategy Advisor at the US Holocaust Memorial Museum in Washington DC. Before that, he was for six years the director of the Museum’s Simon-Skjodt Center for the Prevention of Genocide and previously served as the Center’s policy director. From 2009 to 2011, he served at the State Department as the chief of staff to the President’s Special Envoy for Sudan during the period of South Sudan’s independence. He also served from 2004-2009 as the director for African affairs on the staff of the National Security Council at the White House, where we was responsible for organizing the government response to the Darfur genocide. Previously, he worked for the United Nations and the Organization for Security and Co-operation in Europe in the former Yugoslavia. 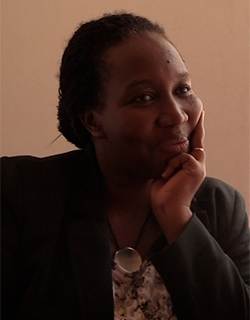 Assumpta Mugiraneza is the co-founder and director of the IRIBA Centre for multimedia heritage - Rwanda. She is an educationalist, a socio-psychologist and a political scientist. For 20 years, she has been working on the topics of extreme violence and genocide, focusing particularly on the role of language and communication, for example comparing the Nazi and Hutu power discourses. She has written several book chapters and academic articles on the topic. She teaches about the history and the prevention of genocides, using multimedia archives. Dr. Elisa von Joeden-Forgey is the Marsha Raticoff Grossman Associate Professor of Holocaust and Genocide Studies at Stockton University in New Jersey, where she also founded the world’s first academic, graduate-level Genocide Prevention Certificate Program. She is former President of Genocide Watch and is former First Vice President of the International Association of Genocide Scholars. She received her MA and PhD in History from the University of Pennsylvania and her BA from Columbia University. She teaches undergraduate and graduate classes on the Holocaust, comparative genocide, gender, sexual violence, war, human rights, imperialism and genocide prevention and has lectured and published widely on these topics. She has a background in practical genocide prevention work and has presented at the Lemkin Seminars in Genocide Prevention, hosted by the Auschwitz Institute of Peace and Reconciliation, as well as the United States Holocaust Memorial Museum’s Mass Atrocity Education Workshops. She has spoken on a number of ocassions at the United Nations, including at the inaugural Day of Commemoration and Dignity of the Victims of the Crime of Genocide and the Prevention of This Crime. Her book on the subject of gender and genocide prevention is under contract with the University of Pennsylvania Press. Alexander Hinton is a Distinguished Professor of Anthropology, Founder and Director of the Center for the Study of Genocide and Human Rights, and UNESCO Chair in Genocide Prevention at Rutgers University. He is the author or editor of over a dozen books, including, most recently the Man or Monster? The Trial of a Khmer Rouge Torturer (Duke, 2016) and The Justice Facade: Trials of Transition in Cambodia (Oxford, 2018). 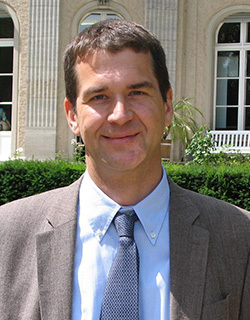 In recognition of his work on genocide, the American Anthropological Association selected Hinton as the recipient of the 2009 Robert B. Textor and Family Prize for Excellence in Anticipatory Anthropology. Professor Hinton is also a past President of the International Association of Genocide Scholars (2011-13) and was a Member/Visitor at the Institute for Advanced Study at Princeton (2011-13). In 2016, he served as an expert witness at the Khmer Rouge Tribunal. Tali Nates is the founder and director of the Johannesburg Holocaust & Genocide Centre. She is a historian who lectures internationally on Holocaust education, genocide prevention, reconciliation and human rights. Tali has presented at many conferences including at the United Nations in New York in 2016 and is also a fellow of the Salzburg Global Seminar. She published many articles and contributed chapters to different books, among them God, Faith & Identity from the Ashes: Reflections of Children and Grandchildren of Holocaust Survivors (2015) and Remembering the Holocaust in Educational Settings (2018). Tali serves on the Academic Advisory Group of the School of Social Science, Monash University, South Africa. Born to a family of Holocaust survivors, Tali’s father and uncle were saved by Oskar Schindler. Rachel Killean is a Lecturer in Law at Queen's University Belfast. Her research interests center responses to international crimes and mass human rights violations. She is currently an investigator on two projects researching transitional justice issues within Cambodia. The first: 'Restoring Cultural Property and Communities after Conflict, examines the destruction of the Cham group's cultural heritage during the Khmer Rouge regime. The second: 'Whose Voices are Heard?' examines representations of victimhood within sites of dark tourism in Cambodia. 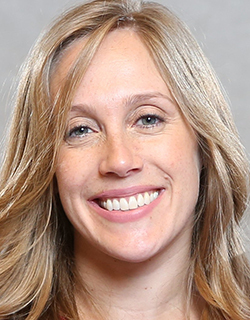 Rachel is also interested in responses to environmental harm and sexualized and gender-based violence, and in particular in the ways in which international criminal law has addressed these specific forms of violence. Her book, 'Victims, Atrocity and Justice: Lessons from Cambodia' was published by Routledge in July 2018. 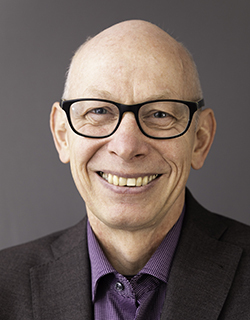 Björn Krondorfer is the Director of the Martin-Springer Institute at Northern Arizona University and Endowed Professor of Religious Studies in the Department of Comparative Cultural Studies. His field of expertise is religion, gender and culture, Holocaust studies and reconciliation studies. Publications include Reconciliation in Global Context (2018); Male Confessions: Intimate Revelations and the Religious Imagination (2010); Men and Masculinities in Christianity and Judaism (2009); and Remembrance and Reconciliation (1995). 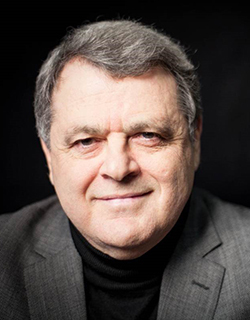 Krondorfer facilitates intercultural encounters on issues of conflict, memory, and reconciliation, and he has presented his research and facilitated workshops around the globe. Serving on several editorial and advisory boards, he was guest professor at the Freie University Berlin, Germany, and a visiting Faculty Affiliate at the University of the Free State, South Africa. He created and designed exhibits on the Jewish Ghetto in Bedzin (Poland) and the Berlin Wall, and curated the art exhibits Wounded Landscapes (2014) and Echoes of Loss: Artistic Responses to Trauma (2018). 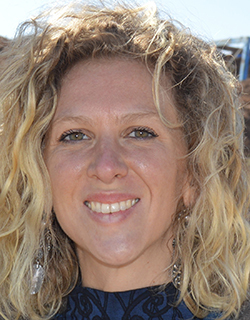 Sara E. Brown is a Postdoctoral Fellow at USC Shoah Foundation - The Institute for Visual History and Education where she manages post-secondary education initiatives, outreach, and activism around the globe. She holds the first Ph.D. in comparative genocide studies at the Strassler Center for Holocaust and Genocide Studies at Clark University. 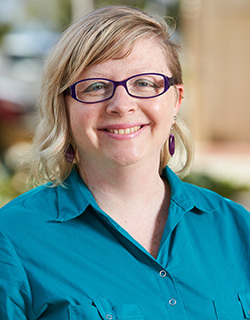 Brown has published articles in IFjP, Genocide Studies International, and the Armenian Weekly and currently serves on the Advisory Board for the International Association of Genocide Scholars. 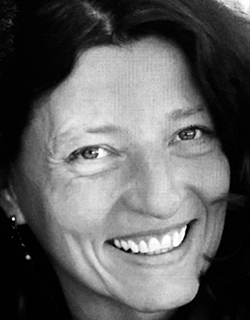 Brown has worked and conducted research in Rwanda since 2004 and is the author of Gender and the Genocide in Rwanda: Women as Perpetrators and Rescuers. 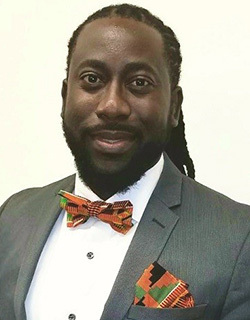 Prof. Jermaine McCalpin is currently Chair of the African and African-American Studies Program at NJCU. He received his B.Sc. and M.Sc. in Political Science and International Relations from the University of the West Indies, Mona. He earned his M.A. and Ph.D. in Political Science from Brown University. Dr. McCalpin specializes in Africana political philosophy, Caribbean political thought, and transitional justice. His research interests include truth commissions, commissions of enquiry and political accountability, reparations for historic injustice such as slavery, Native American and Armenian genocides. McCalpin has written on the South African Truth and Reconciliation Commission and its development of a restorative justice approach to South Africa’s transitional justice issues as well as the moral justification for reparations for slavery and the Armenian Genocide. His most recent publications are the co-edited volumes Rupert Lewis and the Black Intellectual Tradition (with Clinton Hutton and Maziki Thame) 2018 and Freedom, Power and Sovereignty: the Thought of Gordon K. Lewis (with Brian Meeks) 2015, Written into Amnesia : the Grenadian Truth and Reconciliation Commission in Grenada: Revolution and Invasion 2015, reparations for slavery in the Americas in“The Armenian Review, Spring 2013 and on the Haitian Truth Commission in The Global South, Spring 2012. He was also one of the co-authors of the landmark report on the Armenian Genocide entitled Resolution with Justice: Reparations for the Armenian Genocide (2015). 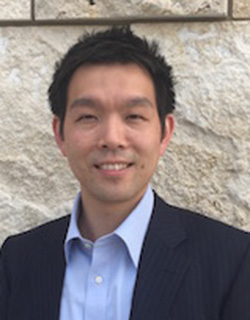 Dr. Tetsushi Ogata is Visiting Assistant Professor of Peace and Conflict Studies at Soka University of America. He is also the Convener of the Genocide Prevention Advisory Network (GPANet) and serves in the Steering Group of the Global Action Against Mass Atrocity Crimes (GAAMAC), a state-led initiative to exchange knowledge and practices to build national architectures for atrocity prevention. 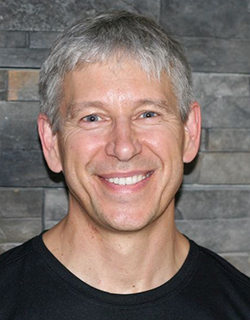 Previously, he has taught at the University of California, Berkeley and George Mason University. He has also served in the Executive Board of the IAGS and in the Editorial Board of the IAGS’s journal, “Genocide Studies and Prevention” (GSP), and he was the Director of the Genocide Prevention Program at the School for Conflict Analysis and Resolution (S-CAR). He received his B.A. in Liberal Arts with International Studies concentration from Soka University of America and his M.S. and Ph.D. in Conflict Analysis and Resolution from George Mason University. 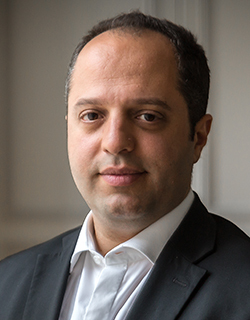 Benjamin Abtan is the founder and the president of the European Grassroots Antiracist Movement – EGAM, the founder and the coordinator of the Elie Wiesel Network of parliamentarians. He has been the political advisor of Bernard Kouchner, minister of Foreign affairs of France and the founder of Doctors Without Borders and of Doctors of the World, and of Christiane Taubira, minister of Justice of France. He has been the advisor for international affairs of the Caisse des Dépôts et Consignations, the main French public financial institution, in order to build notably the Long Term Investors Club. He has also been the advisor of several French luxury houses for their institutional affairs. He has been very involved in civil society, as a member of the Board of SOS Racisme, the co-founder of the ”Save Darfur” coalition, the president of the French Union of Jewish students. He teaches Genocide studies at various international universities. He holds engineering, international business and genocide studies degrees, respectively from French top-tier universities Télécom Paris and ESSEC, and from Stockton University (USA). Clint Curle is Senior Advisor to the President-Stakeholder Relations at the Canadian Museum for Human Rights, where he helps coordinate the interests of stakeholder communities and groups with the strategic priorities of the Museum. Before joining the Museum in 2010, Clint was, in turns, a university professor, executive director of a human rights NGO, a parish pastor and a lawyer. His educational background includes a PhD in political science, MA degrees in law and theology, and a law degree. 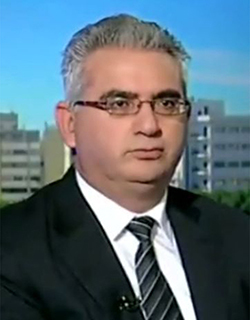 Dr. Suren Manukyan is the Head of Department of Genocide Studies at the Yerevan State University, Head of the Department of Comparative Genocide Studies of the Armenian Genocide Museum & Institute (Yerevan, Armenia), and lecturer at the American University of Armenia. He is a member of the Advisory Board and Resolutions’ committee of the International Association of Genocide Scholars (IAGS) and a member of International committee of Memorial Museums (IC MEMO). He is book-review editor of International Journal of Armenian Genocide Studies (in English) and a deputy editor of Journal of Genocide studies (in Armenian). 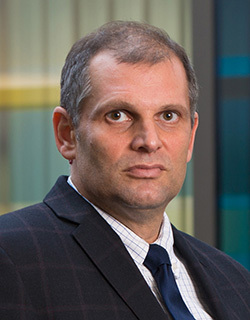 His current research focuses on the socio-psychological dimension of the Armenian genocide, based on his Fulbright research project “The Sociology of Armenian Genocide: Perpetrators, Bystanders, and Rescuers” done at the Center for the Study of Genocide and Human Rights at Rutgers University of New Jersey, USA. He is the author of about 30 articles in the field of Genocide studies and Oriental studies. Dr. Joseph Ryarasa Nkurunziza is a medical doctor, public health practitioner and a social justice activist with over 15 years of experience in the civil society sector. 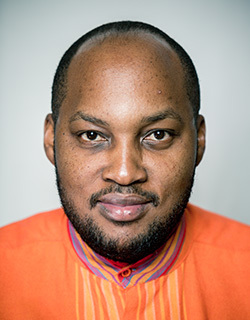 Nkurunziza is a Co-founder & Executive Director of “Never Again Rwanda”, a peacebuilding and social justice organization that arose following the 1994 Rwandan genocide against the Tutsi. He is the president of the African Democracy Forum, a regional network for civil society organizations and individuals dedicated to democracy for peace, human rights and development in Africa. Stephan Dorgerloh served many years as the Director of the Protestant Academy in Luthertown Wittenberg. Appointed as Prelate by the German Protestant Church, he was responsible for the planning process of the International Reformation Jubilee. 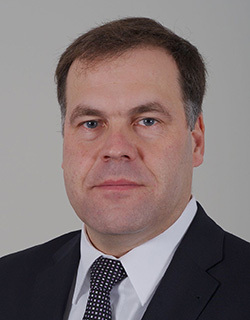 From 2011-2016 Dorgerloh worked as Minister of Education and Culture in Saxony-Anhalt. 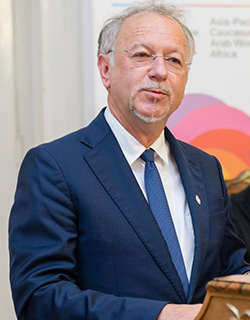 In 2013 he was elected as the President of the Standing Conference of the Ministers for Education, Culture and Science and initiated an agreement about Holocaust education between Yad Vashem and the German States. He also has supported many projects dealing with German-Armenian cultural and educational exchanges for which he has been honored with the Gold Medal of the Ministry of Culture of the Republic of Armenia. Senior Researcher, Camp des Milles Foundation, UNESCO Chair "Citizenship Education, Human Sciences and Convergence of Memories"
Dr. Lena Casiez is Senior Researcher at the Camp des Milles Foundation and in the Unesco Chair "Education for Citizenship, Human Sciences and Convergence of Memories" shared with Aix Marseille University and directed by Prof. Alain Chouraqui, President of the Camp des Milles Foundation. 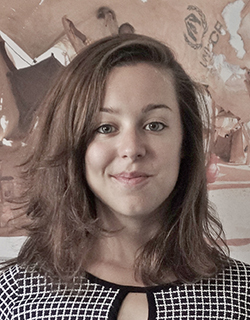 Currently acting as an IHRA French delegate, she is also a Fellow of the Institute for International Humanitarian Studies and Coordinator of Aix Global Justice Legal Clinic. She holds a Ph.D. in International Law focused on the Responsibility to Prevent mass atrocity crimes. Before her appointment to the Camp des Milles Foundation, she was a Legal Assistant for two defense teams at the International Criminal Tribunal for the Former Yugoslavia (ICTY) from 2010 to 2013.
lya Altman founded the Russian Research and Educational Holocaust Center in 1991 and has since been its co-chairman. In 1992 he started teaching the Holocaust at RGGU, where he is currently is a Professor. Since 2016 he is the Director of the International Center for Holocaust and Genocides Studies at RGGU. His works on the Holocaust have been published in 17 countries, including Armenia. He is the author of the monograph "Victims of Hate: The Holocaust in the USSR (1941-1945)". Co-editor of Unknown Black Book (2008). Editor-in-chief of “The Encyclopedia of the Holocaust in USSR” (2011). Since 1974 John Weiss has taught nineteen different courses on modern European history and international history at Cornell University. He has also served as director of the University’s Institute for European Studies and chair of its liaison committee to the officer training programs. He has published articles in various collective volumes concerning aspects of the history of genocide. 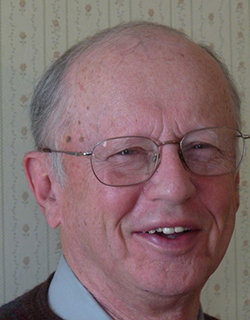 His work as an anti-genocide activist began with his formation of the Bosnia Coordinating Committee of Ithaca, New York. He took aid items to Bosnia during the war/genocide there and taught at Tuzla Summer University 1996-2002. After founding the Darfur Action Group-Cornell in 2005 he continued various public education and protest activities while also briefing the President’s Special Envoys and the National Security Council. He works with such NGOs as Operation Broken Silence (Nuba Mts, Sudan), IActivism and the Darfur Women Action Group. He is also a Citizen Ambassador for the Free Rohingya Coalition.